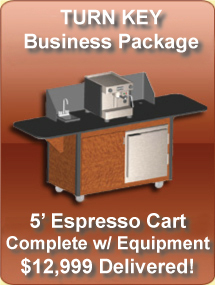 This accessory cart provides a remote location for customers to add condiments or pour self-serve coffee. Additionally it has a trash grommet to keep customer waste out of sight. 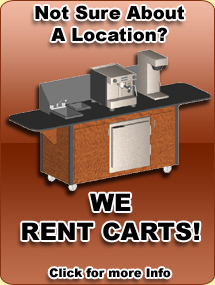 This cart is a convenient size 36" tall x 36" wide x 24" deep. Standard color is black, custom colors are also available to match any decor.